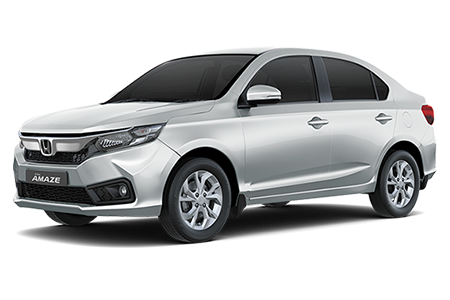 Self Drive Car Rental in Coimbatore offer the Best Self Drive Car Rent HONDA AMAZE for Rent Per hour: Rs 150/-, 12 hours: Rs 1200/-, 24 hours: Rs 1750/-. Self drive car for rent HONDA AMAZE has 1 Diesel Engine and 1 Petrol Engine on offer. HONDA AMAZE Diesel engine is 1498 cc while the Petrol engine is 1199 cc. It is available with the Manual and Automatic transmission. Depending upon the variant and fuel type the HONDA AMAZE has a mileage of 19.0 to 27.4 kmpl. The HONDA AMAZE is a 5 seater Sedan and has a length of 3995mm, width of 1695mm and a wheelbase of 2470mm. Royalpicks offer a HONDA AMAZE car for rent manual and automatic self-drive car services. We offer the best Self Drive Car Rental in top most Cities Like self drive car hire in Coimbatore, Trichy, Madurai, Theni, Kodaikanal, Ooty, Munnar. Also, we offer the quality of self drive car rental services in top most Airport places like self drive car rental in Coimbatore Airport, Madurai Airport and Trichy Airport. 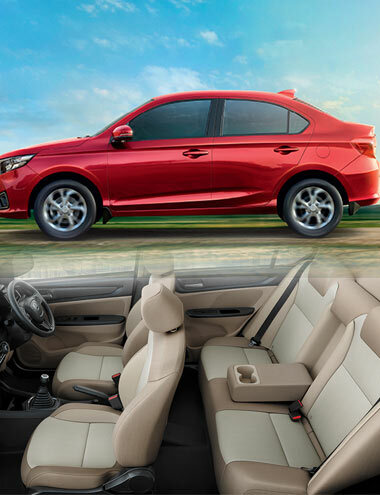 Honda Amaze Self Drive car Renal in Coimbatore, The interiors on the 2019 Honda Amaze will be same as the 2018 model. These interiors are fresh looking and also offer a premium feel. The black and beige combination colour theme will continue to be there, as it is gives an airy feel to the cabin. It is also a preferred theme by many customers. Self Drive Car hire for Honda Amaze will be high on space as well. As there will be no change in the design or dimensions of the car, the interior space will be the same. The rear seat leg room is the best in class and this has remained a USP of the Amaze. The 2019 Honda Amaze will continue to have dual airbags and ABS as a standard feature across all variants. There will also be a reverse camera and parking sensors to enhance safety. Self drive car for rent Honda Amaze will not see any major change in the design or styling. It is build on a new rigid platform that is stronger than its earlier generation car. Car for Rent in Honda Amaze will continue to look attractive and will have the same garnishing of a thick chrome grille at the front. Honda will try and add some more kink at the rear, to make it look fresher. The LED DRLs will be there, just like the present model. The alloy wheel design will reman the same as well, but it might see a change in colour. An darker shade may be introduced. Royalpicks self drive car offer the pre-booking self drive car rental services for saving your time. We have an option to book self drive car rental in Coimbatore in both online and offline. We help to enjoy your holiday trip, business travel, corporate trip and your personal travel. Have step by step process of booking a self drive car rental in Coimbatore with Royalpicks. And also, Royalpicks offer the cheap and best car tariff packages to anywhere.